Gazprom is ready to separate gas supplies to Ukraine and Donbass, said company spokesman Sergey Kupriyanov, as an energy standoff between Moscow and Kiev escalates. "We continue active correspondence with Naftogaz, which yesterday confirmed the remaining amount of paid-for gas in its letter - 206 million cubic meters as of yesterday," he said in an interview with Rossiya 24 TV channel. "At the moment we are ready to take gas supply to Donbass out of the discussion. 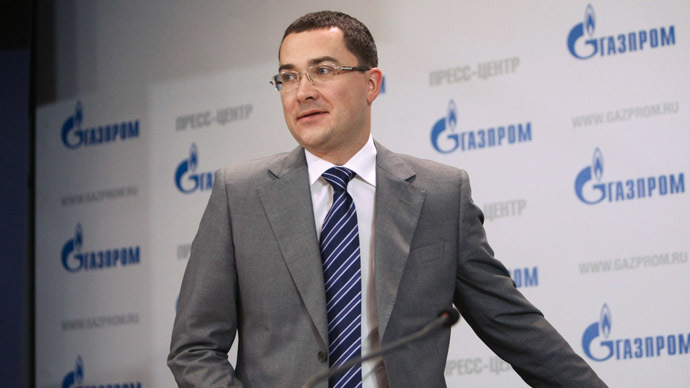 We are ready to deliver the volume required by Naftogaz at the specific entry points," added Kupriyanov. At current supply levels the prepayment will be enough until the end of the week, and if Kiev doesn’t provide advance payment for March, Gazprom won’t be able to continue supplying Ukraine with gas. “Therefore, the main issue for Naftogaz now is to find money for a new prepayment,” he said. “We will act according to the contract. If the money does not arrive on time, the gas won’t be delivered." The comment comes as the deadline for Ukraine’s gas prepayment looms, with President Putin and Gazprom head Aleksey Miller warning Russian deliveries to Kiev could be cut by Saturday. On February 19 Ukraine suspended gas supply to Donbass saying the reason was the damage of the pipeline. After that Russia began separate gas deliveries to Donbass saying that a delay in prepayment by Ukraine may threaten further supplies of Russian gas to the country.